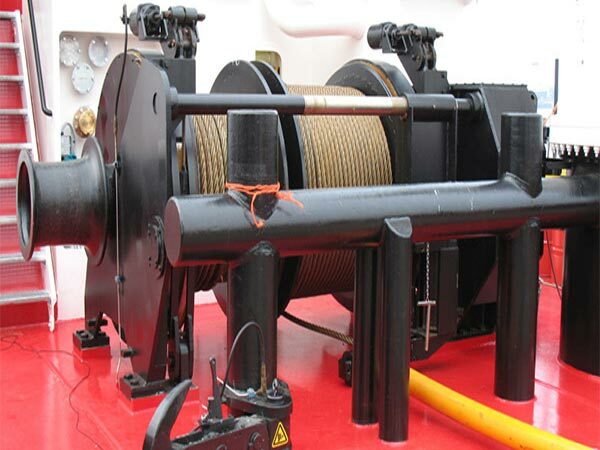 A vessel winch is a specially designed device installed on deck for different applications, such as anchoring the vessel, mooring the vessel or used for deck handling operations. 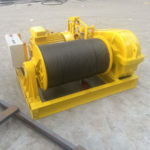 The winch can be categorized in several different ways, in the light of application, it contains vessel anchor winch, vessel mooring winch, vessel tugger winch, vessel combined winch, vessel anchor handling and towing winch and so on. 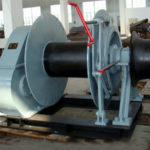 As vessel anchor winch, it is adopted when a vessel reaches a pier and needs anchoring; the vessel mooring winch is used when a vessel is in need of the safe stop at a dock and the rope or cable can be tied and fastened to the securing points to keep the vessel in the chosen mooring position, creating the lock for the vessel; vessel towing winch is used on tug vessel to tow other boats which lose power source, or break down or cannot navigate themselves; vessel combined winch refers to the winch used for multiple operations, for example, anchor mooring winch can be both applied for vessel anchoring and mooring; vessel anchor handling and towing winch is the winch used both for anchoring and towing with different drums. 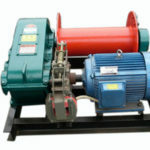 As such an important device installed and applied on a vessel, the winch should be chosen and purchased very carefully, and much attention should be paid to the quality of the winch to make sure that it can work well during the marine operations, or it may needs much maintenance and it may be a waste of your time and money. 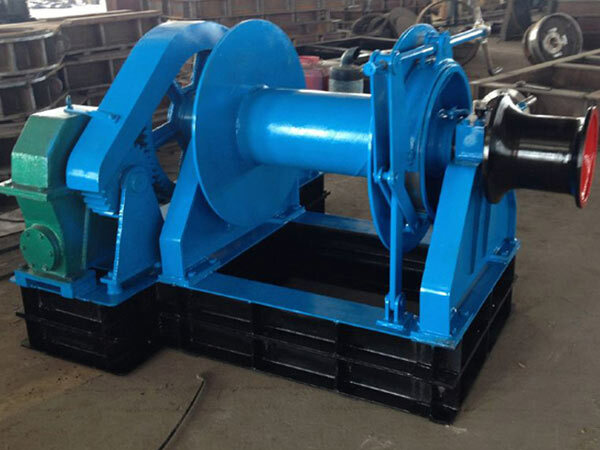 If the winch is divided in accordance with power mode, it includes vessel electric winch, hydraulic winch, air winch, diesel winch, steam winch and manual winch. Nowadays, the manual winch is not often adopted on vessel because its load capacity is too small, but for very small boats, it can be used. 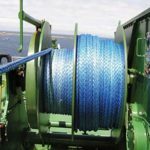 Electric and hydraulic vessel winches are more widely used on vessels at present, which work reliably and efficiently and are easy to operate and maintain. 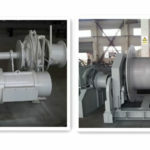 If the vessel winch is classified according to drum number, there are single drum winch, double drum winch and multiple drum vessel winch, which are designed depending on vessel size, application and rope capacity etc. 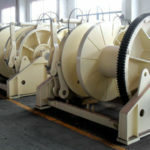 For the winch used on tug vessel, usually heavy load capacity and hydraulic pump system are required especially when it is used for seagoing tug; for some combined vessel winch, double or multiple drums are generally needed for different uses. 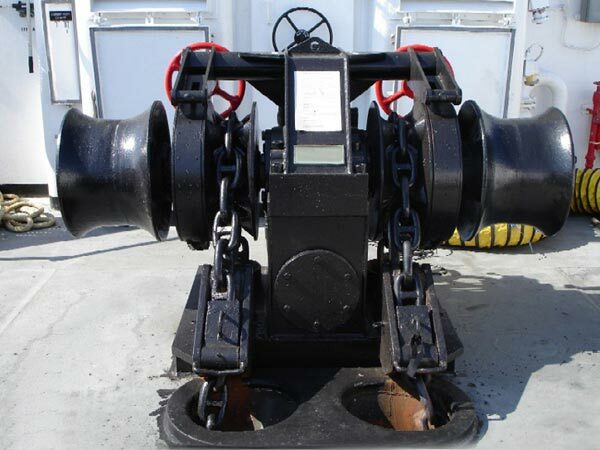 It is needed to carry out maintenance and inspection regularly for the vessel winch, such as checking and maintaining its brake unit, power unit and drum device or lubricating its working parts, making sure that the windlass can work reliably and safely all the time during anchor handling and deck handling operations. Ellsen is a vessel winch provider, we design and supply a wide range of vessel winches, including electric, hydraulic and diesel winches with single, double or multiple drums with or without warping heads as you require. More information about our marine winch will be offered by us at any time if you need. With a professional and good quality vessel winch, your marine work efficiency will be greatly improved and the work time will be saved.